Our BOOST global street team of advocates and champions. Diego Arancibia has worked in the field of After-School for over 15 years. 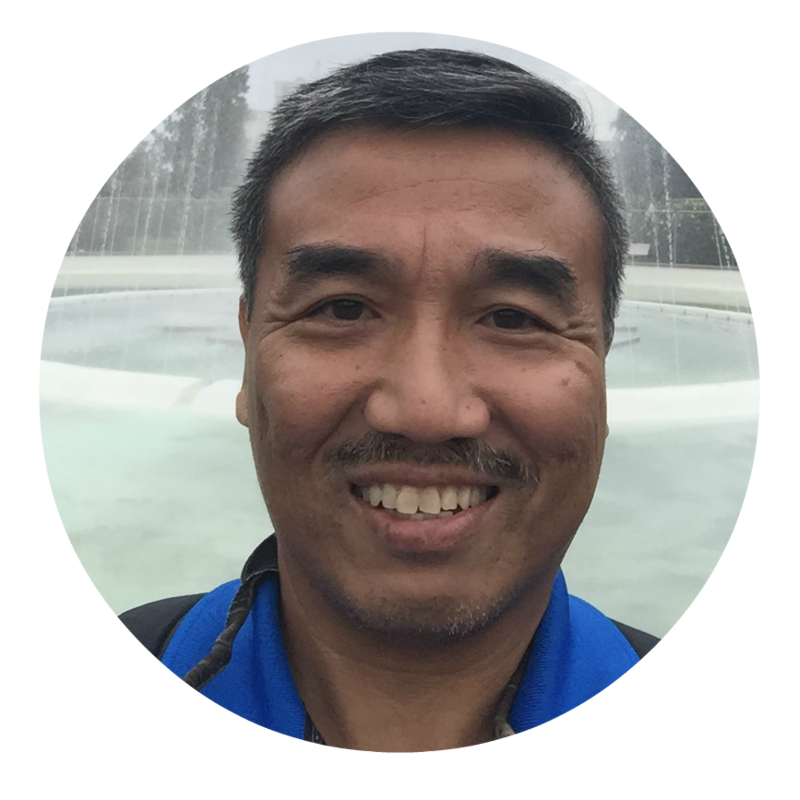 His experience ranges from working with elementary, middle school and high school students at the various programmatic and administrative levels. His innovative methods in marketing and programming has produced some of the most successful programs in the nation. Additionally, he has traveled across the nation training youth program advocates in consensus building, action planning, and programming. Currently, Diego is the Coordinator with ASAPconnect and lives in the Bay Area with his beautiful wife and his amazing son and daughter. Gabriela Baeza Delgado joined the San Diego County Office of Education in 1999. As a Project Specialist for violence prevention programs, Gabriela assists schools with the implementation of youth prevention programs, school safety plans, and violence prevention strategies. 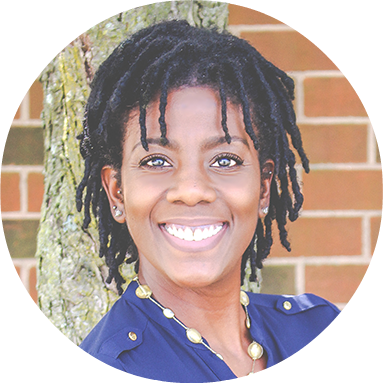 She provides training in restorative practices, student engagement, student group facilitation, relational aggression, healthy relationships, body image and other gender-responsive topics to administrators and community agencies. 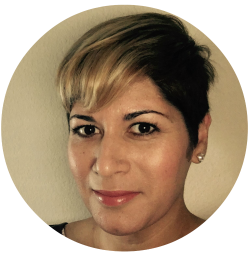 Gabriela has a Master of Arts in Education and School Counseling from Point Loma Nazarene University and a Master of Public Administration from San Diego State University. Gabriela is also an Adjunct Professor at Azusa Pacific University. Sally K. Carter is the CEO and Founder of Tap In Leadership Academy (Tap In). The academy is a relationship-centered after-school and summer enrichment program that creates communities of leaders and engaged scholars who think in a new perspective about themselves and their world. Tap In refers to its youth as scholars to affirm their knowledge, skills, and potential. Through her practice as a youth advocate and education trainer, Sally has experienced, first-hand, the challenges faced by youth within disadvantaged communities. She extracts from her professional and personal experiences to create programs that build upon existing community resources. Sally has constructed programs that serve as a vehicle for sustainable, meaningful collaborations. Tap In continues to grow in the number of scholars and families served throughout Illinois including Chicago. Tap In is working to create a School Readiness Program designed for children between ages 3 and 5, before they begin kindergarten. The goal is to give them access to the same opportunities as children whose families are fortunate enough to afford preschool programs. The program will ensure that these children are entering kindergarten with the same skill set as their peers who attend private preschool. Sally earned a Bachelor’s degree in Mass Communications from Illinois State University and a Master’s Degree in Business Administration from Kaplan University. She is a published author and has won countless awards for her work. Most recently, Sally was acknowledged by Illinois Lottery as a 2014 Illinois Trailblazer, http://www.illinoislottery.com/blackhistorymonth. She is also a licensed cosmetologist and successfully owned a hair salon in Urbana for many years. Sally continues to operate her skin care line, Mahogany Essentials, with her daughters. Her husband James is a University of Illinois Detective. They have two daughters, Jazzlyn and Jalyece, one son, James III, and a Chihuahua named Houston. Eddie García has been in the educational field for over 29 years. He is currently the Director of Student Support Services for the Lennox School District. In this capacity, Mr. Garcia coordinates intervention programs and services to support students by addressing the academic, behavior, social, and emotional needs of children to maximize achievement and growth. Prior to working with the student support services office, Eddie was the Director of the Expanded Learning Program, working to provide a safe environment for students to participate in a quality after school program that included academic enrichment, physical fitness, visual and performing arts, college/career awareness, and provided a strong focus on Youth Development. Eddie graduated from California State University, Dominguez Hills in 1999, where he received his degree in Liberal Arts. After raising his teenage nephew and niece because of the passing of his beloved sister, Eddie pursued a Masters Degree in Public Administration from California State University, Long Beach. He strongly believes that higher education is the key to success and continuously reinforces it with the students of Lennox. 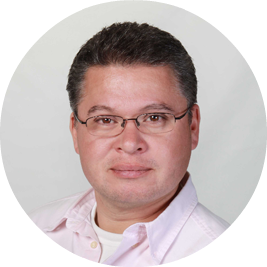 While Mr. Garcia has a wide variety of experience and knowledge, what he enjoys most is providing professional development because it allows him time to connect with other educational professionals in the county to enhance the school experience for students in the Southern California area. Nathan Houston has been involved in expanded learning for over 16 years. Nathan started as a participant with the Center for Fathers and Families (CFF) at age 13. Within a couple of years, he was given his first job as a program assistant with CFF at age 15. At age 19, Nathan was asked to help launch the first After School Education & Safety program ASES for (CFF) MASTERS (Making After School Time Enriching Rewarding and Successful) expanded learning program as the Site Coordinator. Nathan is now the Director of Training and Professional Development for the Center for Fathers and Families. He uses his experience and knowledge to train, coach and develop his staff to be successful educators. In 2016, Nathan received the Emerging Leadership Award from California Department of Education (CDE), and in 2017, he was the keynote speaker at California AfterSchool Network's (CAN) first Statewide Symposium. It was there that Nathan first debuted his #iAmImpact philosophy and “7 Steps to Impact” keynote, which he created to both help and inspire educators in expanded learning. Nathan has had the opportunity to speak in various regions throughout California. Nathan started off the 2018-2019 school year with a #iAmImpact tour stopping in regions 7, 6, 3, and 1. He continues to travel throughout California spreading his #iAmImpact Philosophy to encourage and inspire educators. Gayle Hui is currently working as a Program Supervisor for the Arvin Union School District. This is his 25th year in education and 12th year in Expanded Learning. 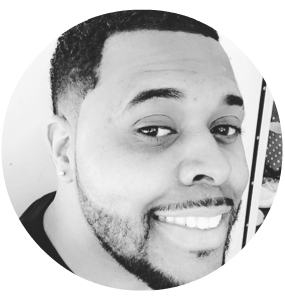 Professionally, he has worked as an instructional aide, a classroom teacher, an after school coordinator, and a vice principal. His personal mission is to use Expanded Learning as a means to closing the achievement gap. He enjoys observing young people having personal break-throughs in their development. STEM, intervention, and high student engagement are areas he continues to strive for in programming. He credits his professional relationships in expanded learning as one of his successes in networking and life long learning. His Clifton Strengths are: Responsibility, Strategic, Positivity, Analytical, and Learner. Brad Lupien holds a Bachelor's in Social Work from the University of Vermont and a Master's in Teaching from Simmons College in Boston, MA. While teaching in the inner-cities of the Boston Public School system, he developed the Outdoor Education Club. His extensive athletic and outdoor experience includes guiding month-long wilderness excursions through the Rocky Mountains and National Parks. Brad left teaching in the classroom to teach in the outdoors. In 2001 Brad met Gary Lipsky, a Los Angeles-based entrepreneur, and they began Good Sports Plus, which incorporated later as arc. At arc, Brad currently oversees 32 after school sites, 4 PE sites, and Outdoor Adventure Clubs at over 70 youth organizations. arc older youth model has won city, state and national accolades in the past 3 years. Additionally, Brad is a board member for multiple CBOs including CORE Educational Services, Interfaith Family, SOS Classroom, and the Take Action Campaign. Boofy Mishnick is the current Project Director for the Afterschool Centers on Education grant at Education Service Center Region 12 in Texas, where she oversees ten sites at eight school districts. Prior to her current position, she served as a doctoral research assistant and adjunct professor at Tarleton State University. Boofy's first experience with afterschool programs was as a parent volunteer at Ann Whitney Elementary, in Hamilton Texas. She enjoyed the afterschool program so much, she later became the site coordinator at Ann Whitney and ran the program for two years. Her favorite part of working with afterschool is providing kids with opportunities to learn in a fun, innovative environment. She has a Bachelor of Business Management, a Master of Education and a Doctorate of Educational Leadership with a specialization in Educational Technology. Her research interests include technology use in the classroom and the impact of afterschool programming on student achievement. Ginger Shea has worked in after school programs in Ventura County for 8 years. Prior to that, she was a Special Education Teacher for 10 years. She received her teaching credential from California State University San Bernardino and Master of Arts from California Lutheran University. Ginger has completed her doctorate degree in a joint program with California State University Channel Islands and Fresno State. Congratulations, Ginger! Ginger's first experience with after school programs was in an administrative internship where she fell in love with after school and redesigned the program to be connected with the regular school day and district needs. The momentum and energy of the frontline staff motivated her toward excellence. All kids deserve the best! Kristin Stayer is the Lead Content Developer at After-School All-Stars, working with the National Program Team to provide engaging and comprehensive after-school programs that empower students to become 21st Century Ready. Prior to serving at After-School All-Stars, Kristin was the Executive Director of Park Place Community Center, where she worked with the local neighborhood to create opportunities for individual and community transformation. In addition to leading the start-up and development of the community center, Kristin has worked with the Center for Students organization to provide students an immersive opportunity to experience urban cities. She has also managed the BOOST Breakfast Club blog and now serves as a BOOST Ambassador. 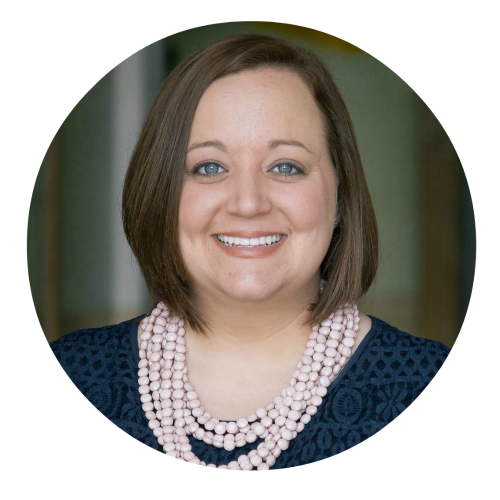 Kristin holds a Bachelor of Social Work degree from Anderson University and a Masters of Urban Studies with a concentration in Community Development from Eastern University. Dr. Katherine Bihr is the Vice President and Executive Director of the Tiger Woods Learning Center. Her responsibilities include providing direction to the personnel, programs and operations of the Tiger Woods Learning Center. 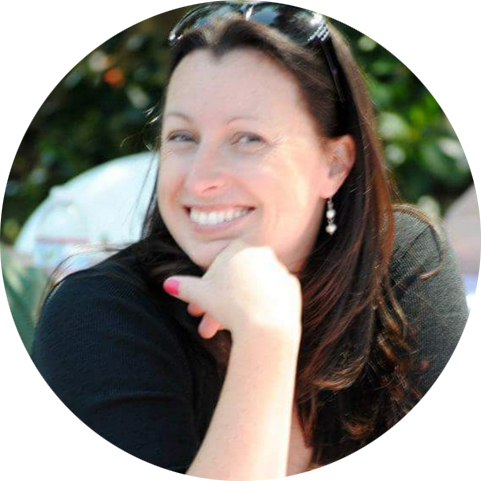 Prior to joining TWLC, she was the Principal of Vista View Middle School in Fountain Valley, CA. While there the school received recognition as a California Distinguished School, and Katherine was recognized for her leadership by the Council for Special Education. Additionally, Katherine served on the Superintendent’s Cabinet in the Ocean View School District providing guidance in the areas of physical education and the visual/performing arts. Dr. Bihr serves on the board of directors for the El Viento Foundation which provides education and enrichment opportunities for at-risk students from grades 4-12; and Project Tomorrow which supports the innovative uses of science, math and technology resources in K-12 schools and communities. In addition, Katherine sits on the Department of Education Leadership Council for the University of California, Irvine and California State University, Fullerton. Dr. Bihr has presented twice at the United States Department of Education and was an invited panelist in an International Education Forum at the United States Department of Education in November of 2008, focused on Fostering Global Responsibility and Leadership. Her undergraduate degree in kinesiology was completed at Long Beach State University and she holds a Masters of Educational Administration from Azusa Pacific University. Katherine received a doctorate in Educational Leadership from the University of Southern California, Rossier School of Education. The Tiger Woods Learning Center provides career exploration and college preparation programs to high potential, low opportunity youth and families. During the school day, elementary students and their classroom teachers embark on a one-week indepth study of science. While students become marine biologists and forensic scientists, classroom teachers are provided instruction in developing and delivering hands-on science lessons and the effective use of technology in the classroom. After school junior high and high school students participate in hands-on career exploration activities that help bridge the gap between school and the real world. Outreach programming is also available for families to help them navigate the college application and financial aid processes – helping parent and child understand that going to college is not only affordable, but attainable. In 2008 the Tiger Woods Learning Center was recognized at the state level by the Association of California School Administrators as a Partner in Educational Excellence for its unique programs offered to young people ages 9-18.